During the Auto Show circuit this year, Honda finally debuted the 2019 Honda Insight. This is the third generation of the Honda hybrid vehicle, and Honda has given it a significant makeover for 2019. Pricing has yet to be announced, but what has been announced about the Insight has Honda fans buzzing. Here are the top 5 things that have been announced about the Insight that you need to know about. The refined exterior of the 2019 Honda Insight boasts a low and wide stance. The Insight also features the signature wing of Honda vehicles. All trims come standard with 16-inch alloy wheels, and a 7-inch TFT digital driver’s meter. The Insight is sleek and stylish in its design, offering a sharp, sophisticated, and dynamic look. The Insight offers a spacious cabin, with seating for 5 people, offering serious comfort for the driver and every passenger. For drivers who are transporting a number of things, the Insight offers a roomy cargo area – 15 cubic feet of trunk space, in fact. In the EX and Touring trims, a 60/40 Rear Seatback is standard, which offers a sizable pass-through for serious storage capacity. 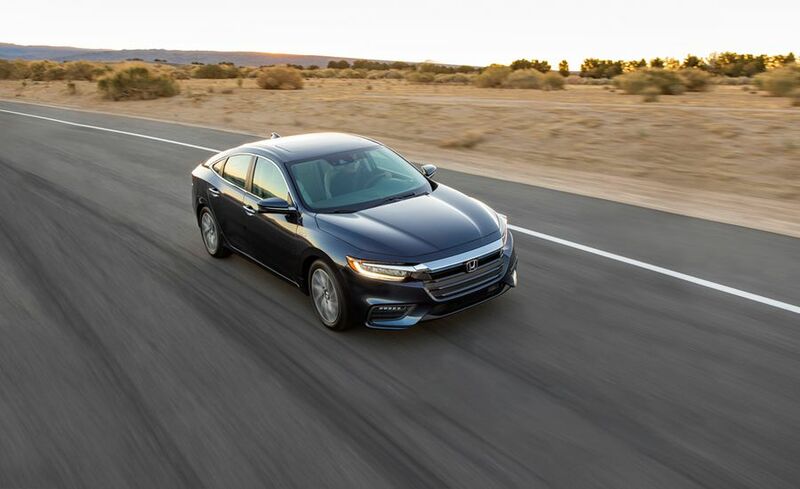 More advanced than any other Honda Insight, the 2019 model has a number of features we see standard on other models in the Honda lineup. The interior offers an 8-inch touchscreen system with Apple CarPlay and Android Auto compatibility. The cabin also offers a Wi-Fi connection and Mobile Hotspot Capability. The 2019 Insight has an impressively efficient fuel economy. Based on the 2019 EPA MPG ratings, the Honda Insight Touring trim has a 51 MPG city rating, and the LX/EX trims offer a 55 MPG rating. The mileage is based on the EPA ratings, there are a number of factors that can impact your mileage. If you keep your Insight well maintained following the Honda recommended maintenance scheduled, and ensure that the battery pack is kept in peak condition, you are likely to trend close to the EPA estimated MPG ratings. The newest generation of the Honda Insight will have serious safety upgrade over previous generations. Like the other models in the Honda lineup, the Honda Sensing safety suite comes standard. The suite of safety features will include Collision Mitigation Braking System, Road Departure Mitigation System, Adaptive Cruise Control with Low-Speed Follow, Lane Keeping Assist System, and Traffic Sign Recognition. Honda hasn’t released when the Insight will be heading to Honda lots in 2018, so keep your eyes peeled for more information and details on what to expect with the Insight’s release.